Watering: moderate moisture. Some surface drying is good, but don’t let soil completely dry out. Fertilizing: all purpose mix every 2-3 months, a blossom booster can be used occasionally to induce blooming. This beautiful, dainty trailing plant with purple-backed foliage is great as a hanging plant, used as a ground cover, or in a water garden. 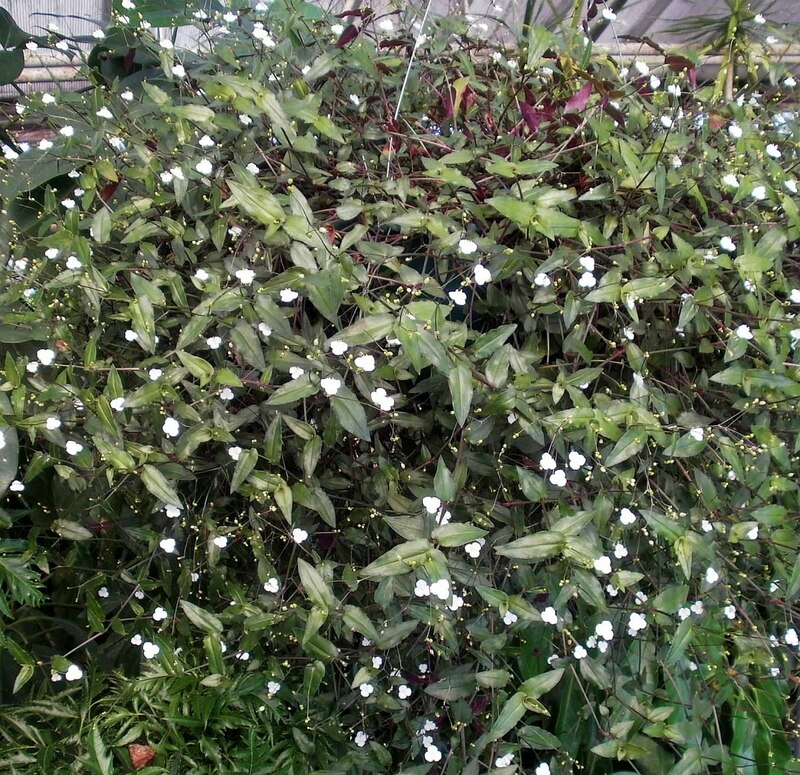 Besides having beautiful delicate foliage, it also bears tiny white flowers in profusion, especially in winter. It is fairly tough and very adaptable.